	Vision: Achieving excellence in Legal Education. 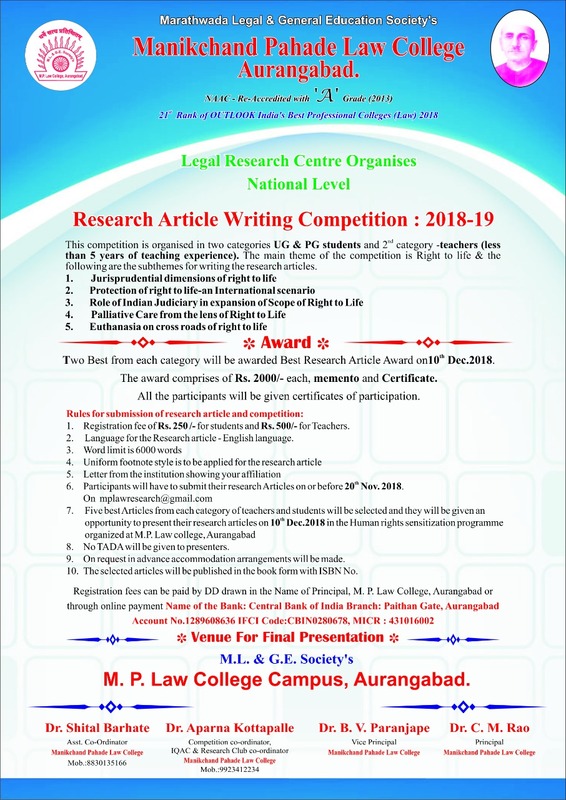 	Mission: Marathwada Legal and General Education Society has looked at education from a broad and holistic perspective and accordingly Manikchand Pahade Law College was established in 1957 with the following mission. a. To legally empower the younger generation of the backward region of Marathwada. b. To make legal education socially relevant. c.	To provide legal aid to the poor and needy people. d.	To move from theoretical education to clinical legal education. e.	To equally facilitate students of rural and urban area. f.	To empower women educationally. 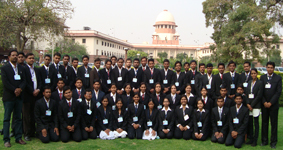 g.	To strive for quality legal education. With these Vision and Mission the College has started LL.B Three years and Five years courses, LL.M in Constitutional Law and Criminal Law, Diploma courses in Labour Law, Cyber Law, Taxation Law, Intellectual Property Law and Medical Jurisprudence & Forensic Science.